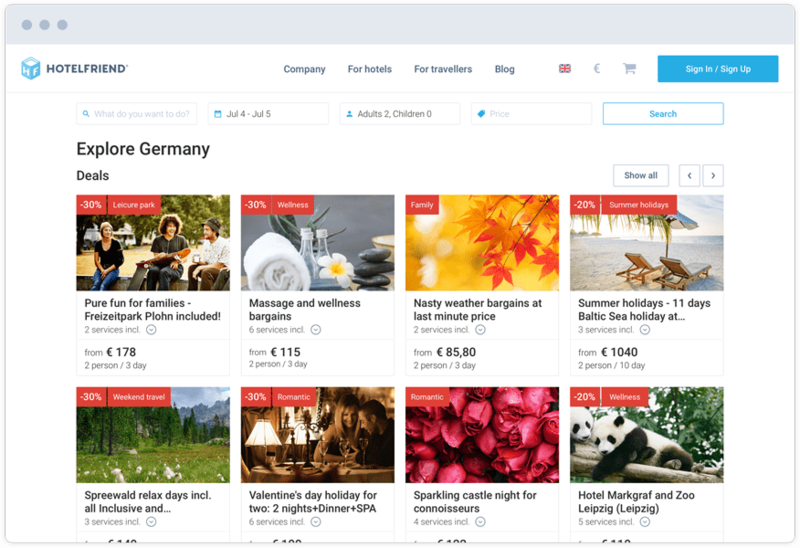 HotelFriend LLC was founded in 2017 and entered German market on 1 January 2018. Our mission is to digitalize hotel industry. Due to the changes adopted in the national and international legislation, and above all owing to the increasing digitalization that is happening both in the heads and also on the guests, customers and partners devices, hotel industry is forced to the digital revolution, and we intend to lead it! 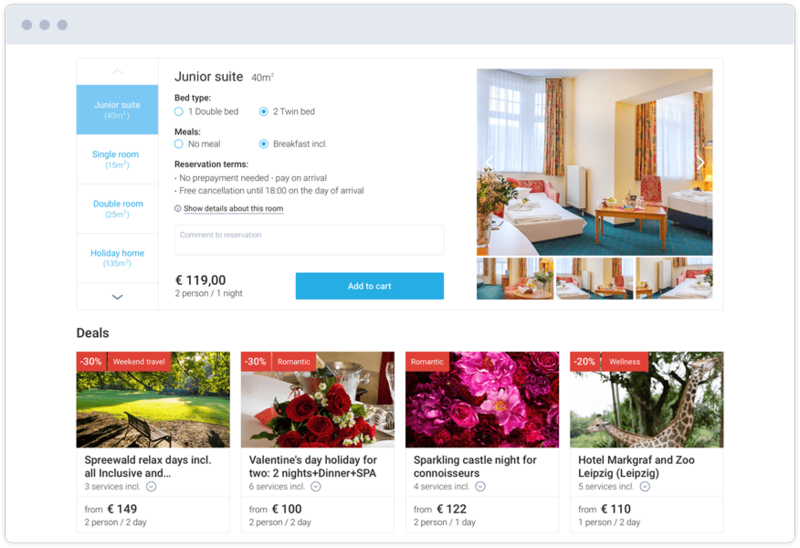 Hotel guests want to have all the hotel information as quickly as possible, they want to reserve the room and have fast access to all services during their vacation for a straightforward booking. Hotels want an effective, clear working. 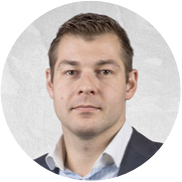 The focus is on saving time and on profit optimization. Our all inclusive product captures all concerns and wishes, compresses processes and supports in all relevant areas. Thanks to a clear hotel software that compresses and simplifies all in-house processes. Guests can coordinate and book their holiday through our modern booking page or via app. On top of that we add a concierge integrated into the App. 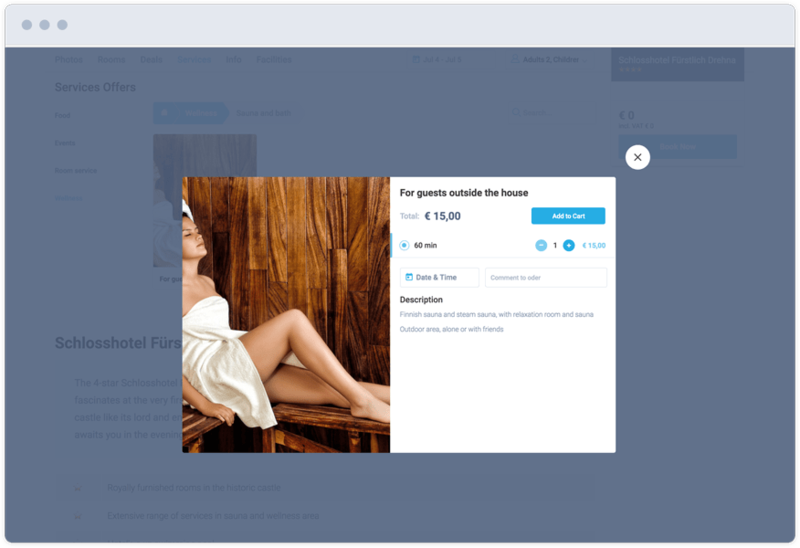 That makes the stay for the guest even more comfortable and the communication between him and the hotel easier than ever. 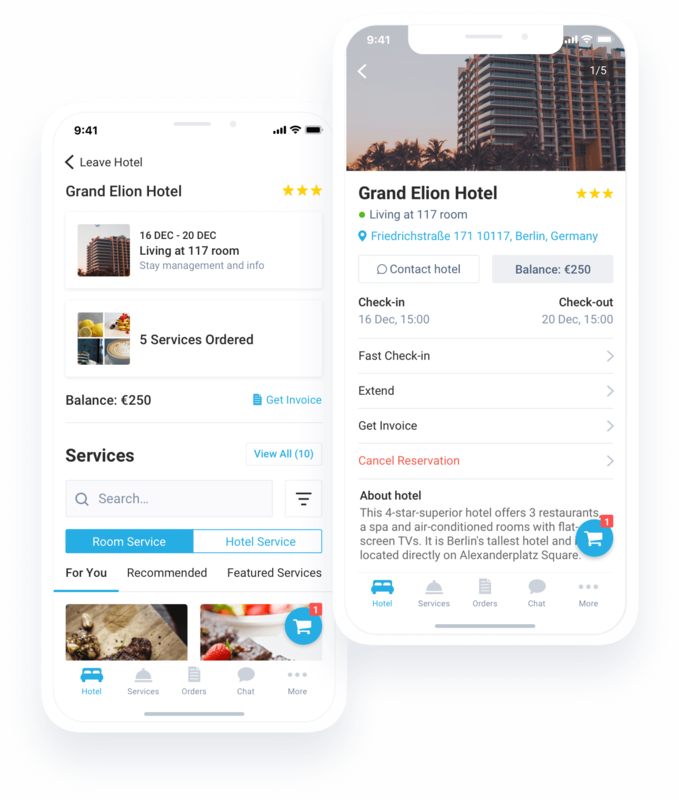 The compression of all concerns of the hotel and its guests in a modern, sustainable and user-friendly application is only available from HotelFriend. Our team consists of experienced Front-End and Back-End Developers. Whether Germans, Ukrainians, Georgians, Koreans, Indians, Moldovans, Belarusian, Polish or Turks, we are one team, yet each of us has his or her own dreams, troubles, aspirations and values. But the most important is that all of us deeply believe in hard work and the competencies and skills of all the team members, and believe in mutual responsibility and respect. We are organized in accordance with ISO 9001 and have the following departments: Sales and Distribution, Marketing, PR, Control, Research & Development, Project Management, Process Optimization, Web Developments, Mobile Development, Software Development, DevOps, Cloud Security, Data Science, Design, UI/UX, HR, Quality Assurance and Testing. Germany and Ukraine: we are a team and we work together and in cooperation towards success of our enterprise. During the last two and half years we've been working closely with the hoteliers, carrying out their wishes, trying to meet their demands with the aim of developing the optimal system for the hotel management. 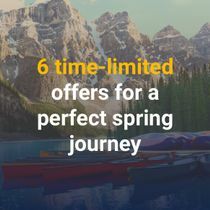 Our passion and mission is to provide outstanding high tech innovative solutions which connect hotelier and traveller, create unsurpassed experience for people around the globe. We give professional consultancy and analysis of your all hotel IT-business infrastructure, reorg the chaos and give the hotelier a chance to be among the leading high tech hotels in the world! 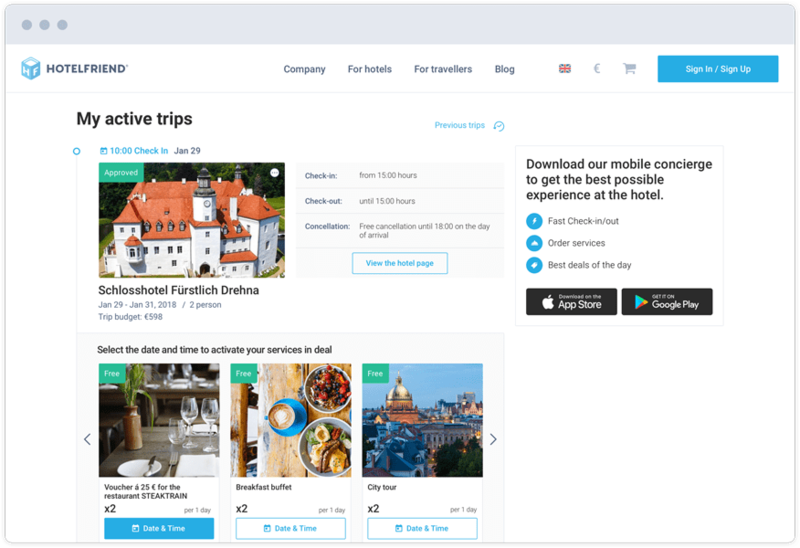 We implement easy-to-use intuitive software solutions: FrontDesk, Reservation Management, Concierge-App, Digital Guestmap, Package management (Arrangement & Deals) and a Web+App Booking Module. All solutions are cloud based. Partner with us to learn how HotelFriend IT solutions can add more value to your business! Mention all the information, which is important for you, including information about the guests, booking data, wages and many more. Our HotelFriend App transforms during your hotel stay into your personal Mobile Concierge. Every guest has an opportunity to spontaneously access any hotel service and to order any temporary deal. Just with one click your order will be transferred through our system directly to the relevant department. The guests’ wishes and orders can be processed as soon as possible. The guests can book their accommodation through our website HotelFriend.com or our free HotelFriend App. 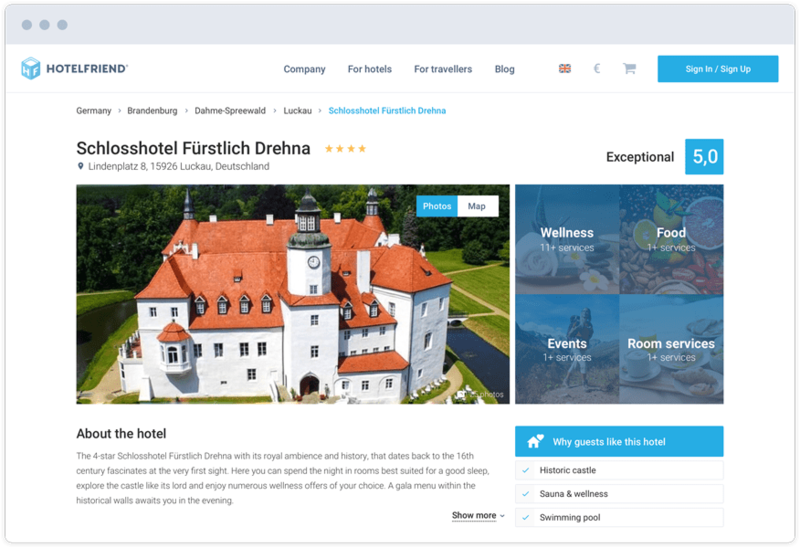 Our partner hotels are presented here on their individual SEO optimized pages. Housekeeping and everyday work of the cleaning staff is like behind the scenes of the hotel life. Hoteliers don't usually pay much attention to it - but we wish they do. 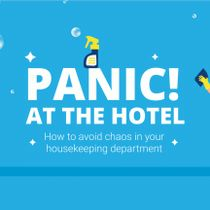 In this article, we gathered the most important information about housekeeping in the hospitality industry, some efficient and useful tips for improving the work of your cleaning crew and optimizing the whole department workflow. 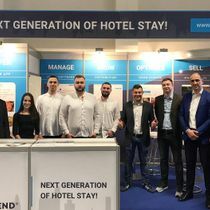 HotelFriend is ready to share insights and progress at the World's Leading Travel Trade Show. 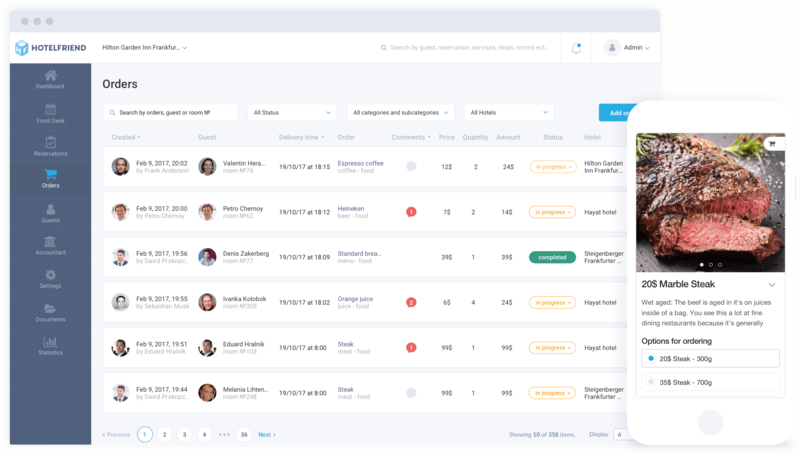 One of a kind high-end hotel software, new prospects, and potential partners. Next generation of hotel stay is here. We constantly improve, so start working together with us, so that we can include your needs in our software.